The roof of a home is one of the most important components of any dwelling and most types of roofing require regular maintenance to maintain weathertightness. Failure to maintain a roof to manufacturers recommendations can void any warranty and also cause premature aging of the roofing system , or cause or contribute to leaks. Due to health and safety requirements it is advised to engage professional roof maintenance companies that will be able to carry out any maintenance tasks safely and to the required standard. The most common form of roofing in New Zealand is corrugated steel ( more recently pre-coated) , followed by concrete tile and steel tiles. 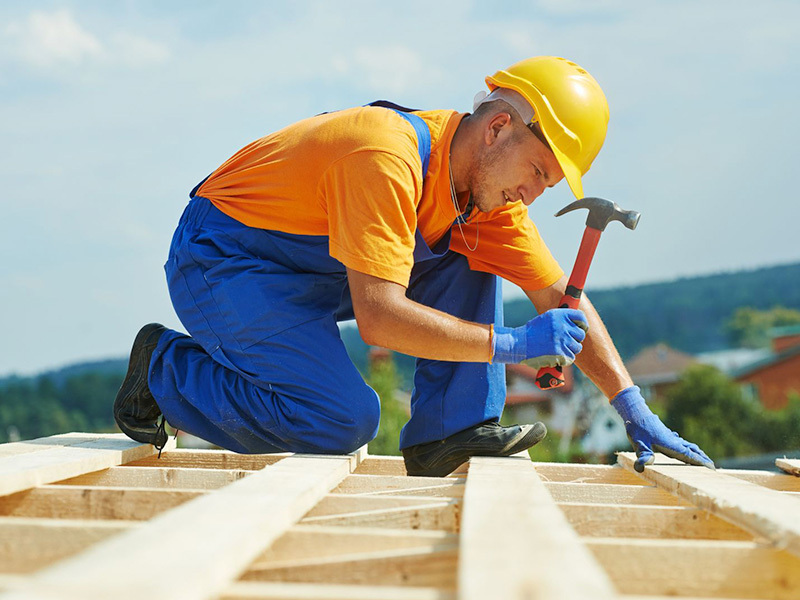 These roofing types all have common requirements for maintenance to perform to their potential. Inspect the roofing surface annually or after heavy wind / rain events . Clear away any leaves or debris. Any loose nails or screws will need to be replaced. Check all flashings to ensure they are still correctly fitted and paint surface is in good condition over all of roof surface. If there are any corroded areas remove rust and prime / paint to roofing manufacturers recommendations. If concrete or clay roof tiles re –fit loose tiles and replace any cracked or broken tiles. Any moss /lichen will need to be treated with a proprietary moss/lichen spray. Remove any overhanging trees /branches. Clean the gutters/spouting . Clean out gutters and check all seams and joins - ensure guttering has correct falls and gutter brackets are securely fixed to fascias. Chimney /vent flashings . Ensure flashings are in place , check in ceiling cavity for any leaks and also on internal ceilings around chimney penetrations for stains on ceiling – if signs of flashing failure replace or repair / re-seal flashings to maintain weathertightness . Ridging /Hip flashings/tiles .Check all lead flashing on edges of steel ridging to ensure lead is formed to roofing profiles and is not loose . If concrete /tile/slate roofing ensure hip and ridge tiles are not cracked , and pointing is in good condition . If pointing is crumbling or loose ridge and hip tiles will need to be professionally re-pointed.